Let’s have a Sunday Interview with John Hertell from Karlstad, Sweden. I never thought that he would answer me on a Sunday morning, but he did. 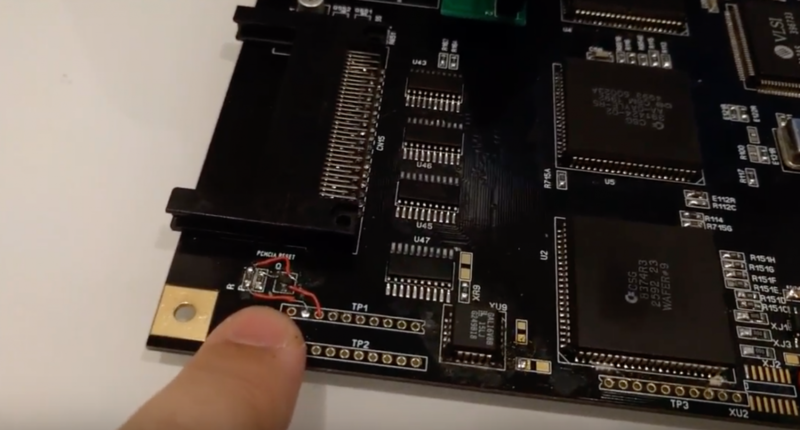 John is the person behind his R1200, which is Amiga 1200 Replica and here is a tiny but important Amitopia interview with him. So, in this interview you get some very useful information regarding R1200. So, get ready! Grab a cup of tea or coffee. Calm down and read. 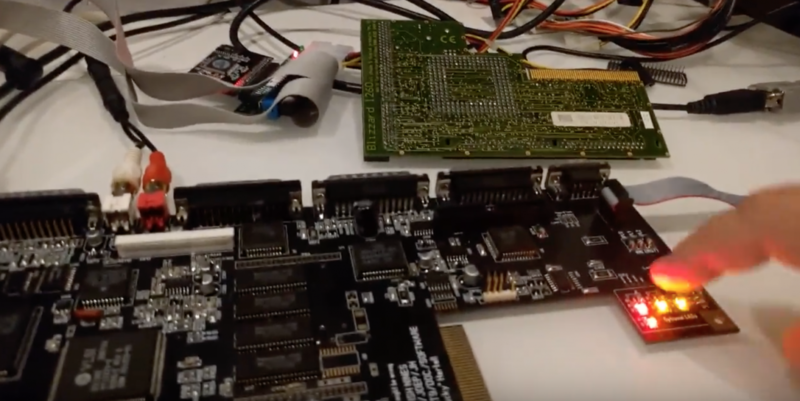 Also you get to know his view on Vampire FPGA cards from Apollo Team and nextgen AmigaOne A1222 Tabor from A-EON. Oki.. now I am writing about R1200 for Amitopia. Please send me some info that might not be online whats the price? What is the specs? composite, VGA out, PCMCIA hardware reset fix? Ok. Anything regarding what you think that the pricing of R1200 will be? I guess I will sell them for 60 Euros, where I donate 5 Euros to children cancer fond. As battery and electrolyte leakage is the cancer for the Amiga.. The 30 I ordered will go fast. I have some more questions though from a few Amiga people and myself. Would it be possible to replace the 68020 with a lets say 68060 etc? Or would that mean bigger changes to the motherboard? Are you in talks with Apollo Team? I know you have some negative talks with them. But what is you future development plans? Many people asks Amitopia about Vampire all the time. Future plans.. we have to see.. sticking Vampire onboard is out of discussion but I think I will however send a R1200 PCB to them so they can test the V1200 when it comes on it.. that is another thing. Where do you see Amiga future is heading? R1200? Vampire V4? A1222 Tabor? R1200 well I will maybe make two versions of it.. my hope is that more people will follow me and make it possible for us to have repaioptions..
Vampire. Well as I kind of disagree with the products goal. I prefer my FPGA arcade with the 68060 DB. A1222…. tried NG Amiga. Not my cup of tea sorry..
Will you do some addons to the Paula chip so that it produces 16-bit instead of 14-bit sound quality? (Pamela is not my cup of tea. Will stick with Gold 2.11, never leave Paula) then it would go to Vampire goal. Apollo Team head told me that all Amiga’s got 14-bit sound and not 8-bit at all. That Commodore have promoted Amiga totally wrong. 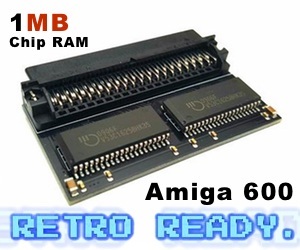 That any Amiga, from A1000 to A4000 can produce it. OCS can produce upto 22kHz, while AGA upto 48kHz in sample rates. Any words on this? Well. It is 14bit. But with some “cheating” by using 2 channels you can get a 14-bit resolution.. so no. it is not 14 bit straight on..
And 48KHz not with DMA but you can push it with the CPU. What you simply do is play the lower bytes on one channel. And the higher bits on another channel but in a low volume in theory..
That’s why I get 22KHz on my A500 with vampire thru Paula? because of cpu? Paula “breaks compatibility” as i call it and does stuff outside the chipset specs in vampire.. But same on 68060 and that’s the reason I think they have another goal than me on my A1200 but you CAN tell the Paula to not use DMA. Then you can feed it with the CPU and then it is more ot less what your CPU can do.. Sorry if I sound stupid.. I think I do.. but I like to understand this better as with anyone else with not so much understanding of hardware. The question is related to the sound itself. 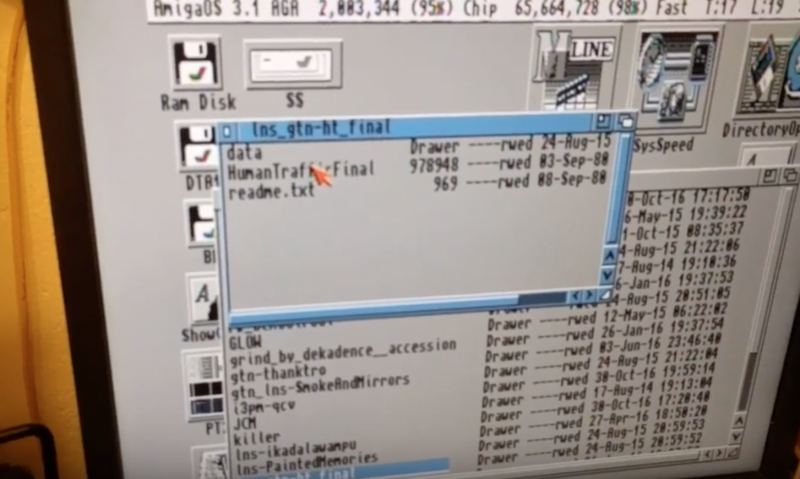 Is this magic happening in AmigaOS 3.x, in the FPGA itself or in AHI? 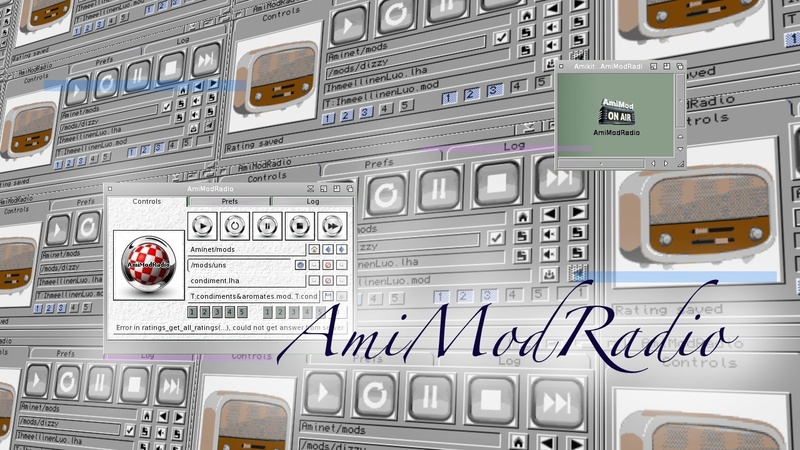 When I am using Songplayer that you find on Aminet here. I don’t use AHI. I just use 68060 CPU on my Apollo 1260 card and it plays mp3. Is that 14-bit? Yes.. but it is using 2 channels and will require some CPU to split the data,. or I guess the mp3 decoder does 2 streams of it directly. on the other hand. 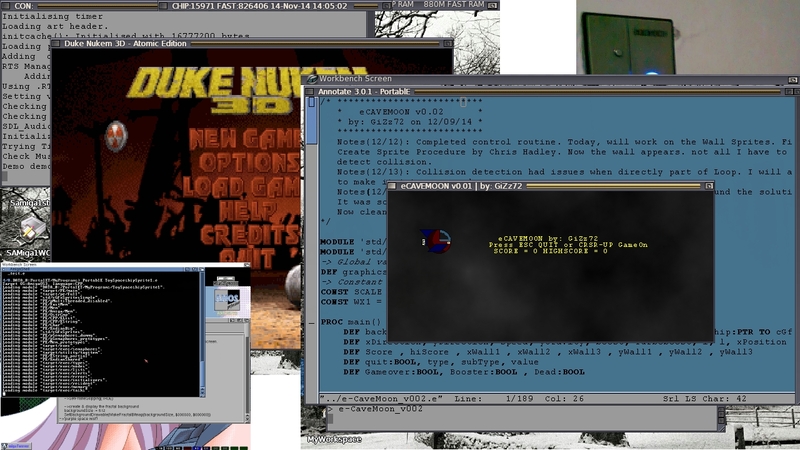 It’s nice to have a TVPaint Amiga 500 machine. I have kept my Amiga 1200 and Amiga 600 in original state though. My vampire is in a plastic case.. no esd bag.. will die.. I like it as it is now, but I think that Gold3 will ruin it for me.. Because I love the Paula original sound too much etc. AGA I can get from my Amiga 1200. There is something about the quality that Paula produces for me. I will for sure get Gold3 and test it. Maybe I am totally wrong now. I am just too love with the sound that Paula chipset gives. Is it possible to add more RAM on the motherboard itself? Nothing more is possible . 2MB is max. 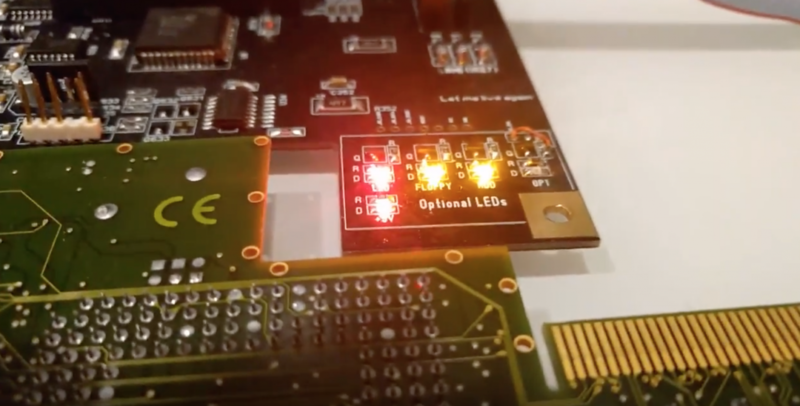 Where do you get the chips to install on the PCB? Is there a way to produce New chips? Will you do this in the future etc? We hope you got something out of this interview. I did. Even though I made it quite instant. 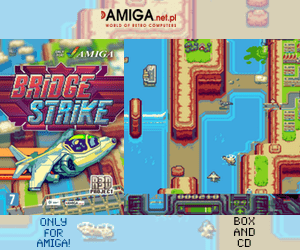 It is really nice seeing classic Amiga getting the love it deserves by people knowing hardware. John Hertell seems to be very dedicated. We love that and will follow him in his classic Amiga quest.